Victorian-born painter Francis Roy Thompson, who spent the last 18 years of his life in Adelaide, is the subject of Number 7 in my series Modern Art in South Australia. in London. He won the Hugh Ramsay Prize for Portrait Painting in 1922, which enabled him to travel overseas. On his return from a subsequent overseas trip in the early 1930s he took up the post of Art Master at Scotch College in Melbourne. He won the highly regarded Crouch Memorial Prize in 1943. After resigning from his teaching position in 1946 he devoted his life to painting and began travelling and exhibiting in New South Wales, Queensland, Tasmania, Western Australia, the Northern Territory and, finally, South Australia, where he resided for the last 18 years of his life. He won the Adelaide Jubilee Prize in 1951 and, in 1956, the Cornell Prize, offered by the Contemporary Art Society of South Australia. He is represented in the National Gallery of Victoria, Art Gallery of South Australia, Tasmanian Museum and Art Gallery and regional galleries of Ballarat, Bendigo, Hamilton, Benalla, Broken Hill and Launceston. The artist believed no artist should fail to continue to develop. 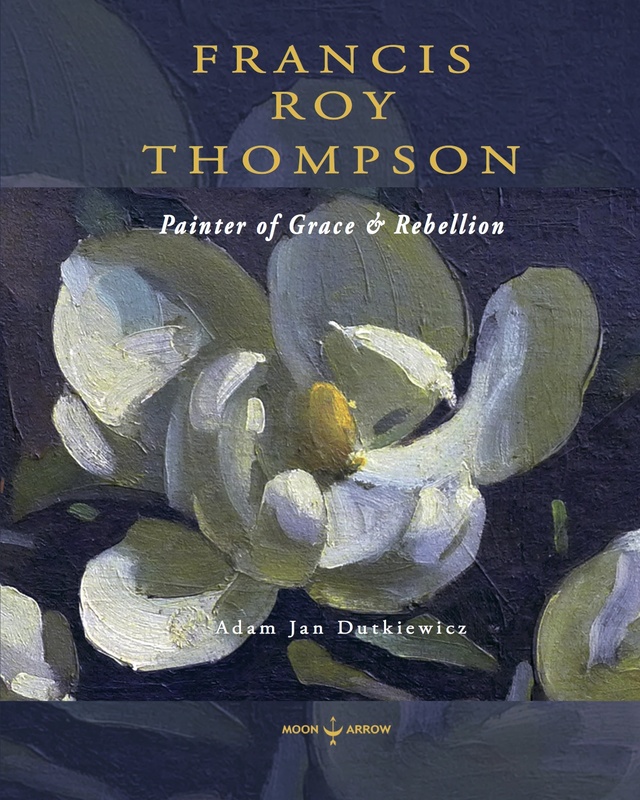 Francis Roy Thompson passed through a wide range of completely different but logically related phases, having pursued an individual and independent course from academicism towards his own particular brand of expressionism and, finally, non-objectivity. “[Roy] interested himself at various times in mural paintings, stage sets, broadcasting and film making. Although financially his life was never easy, his generosity knew no limits. This entry was posted in Australian art and tagged Francis Roy Thompson, National Gallery School, South Australia, Tasmanian Museum and Art Gallery, Westminster School of Art in London. Bookmark the permalink.